This bell lock zipper dates back to the 1940s or 1950s and was made in the USA by Conmar. 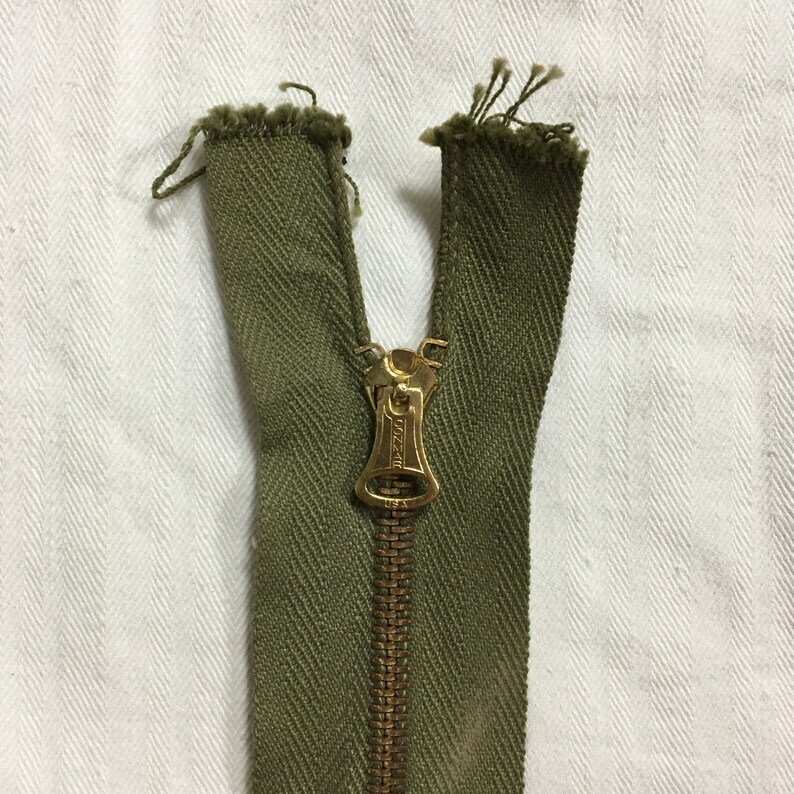 It is a separating zip made with a green twill, measuring 16 1/2". Although these are new-old-stock, your zipper may have minor musty odor and/or very light corrosion.